A very American journey: criss crossing the continent. Drove from Cape Cod to Boston taking two hours: started 09.00. Flight from Logan International Airport to Dallas-Fort Worth International Airport, Texas; taking 3 and 1/2 hours; started 13.15 arriving 15.45 local time. Flight from Dallas-Fort Worth to Rapid City Regioanl Airport; taking 3 hours; started 20.00 arriving 22.00 local time. 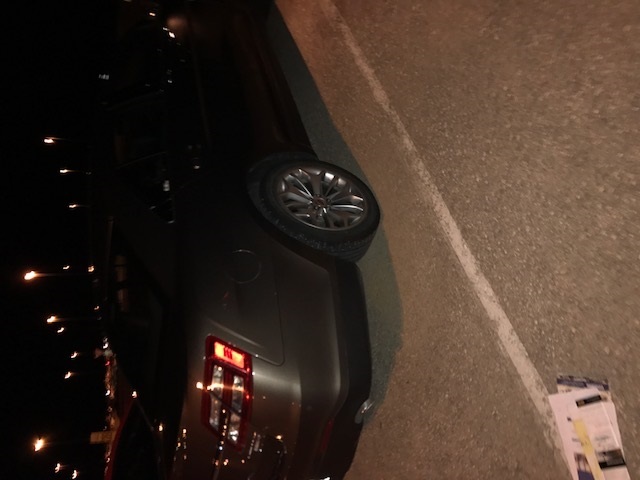 Drove from Rapid City South Dakota to Deadwood SD. ; taking 1 and 1/2 hours; arriving 23.30 And checked in to Springhill SuitesMarriott Hotel. Actual hours travelling from Cape Cod to Deadwaood - 16 and 1/2. Photo shows late night collection of hire car at Rapid City airpor. 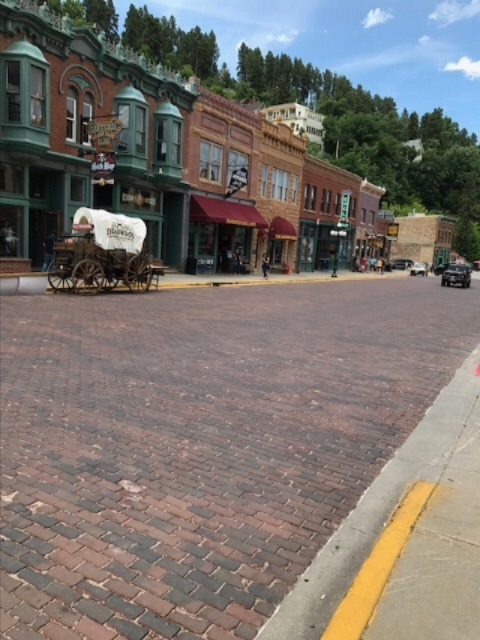 Drove along the iconic US 385 from Deadwood through the Black Hills. 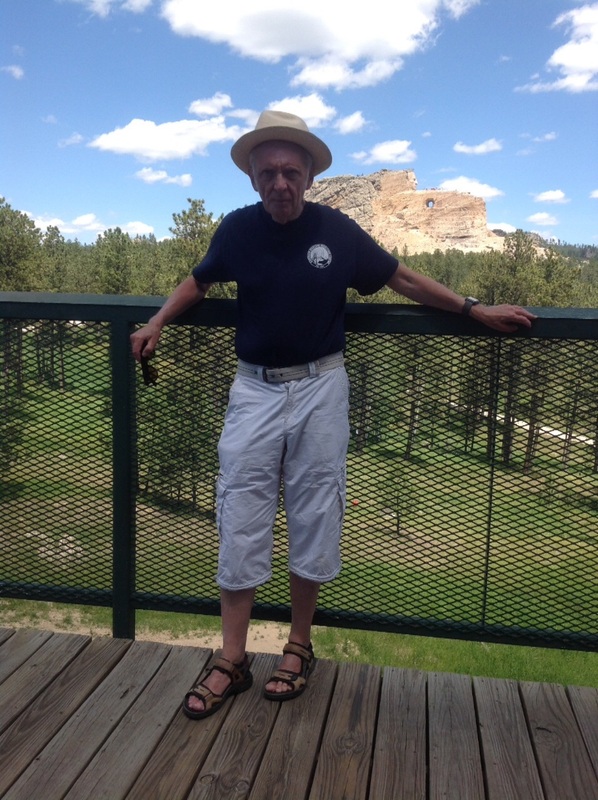 First stop the Crazy Horse memorial and the Custer State Park: a 57 miles long road trip. 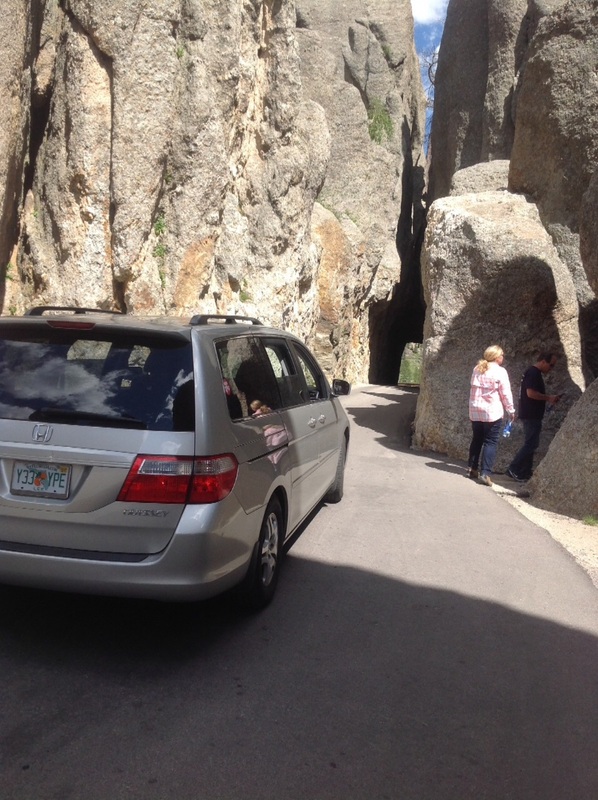 We walked around Sylvan Lake then drove along the Needles Highway: a set of narrowclets in the rocks and through rock tunnels. We visited the town of Keyston: a base for visitors to Mount Rushmore. 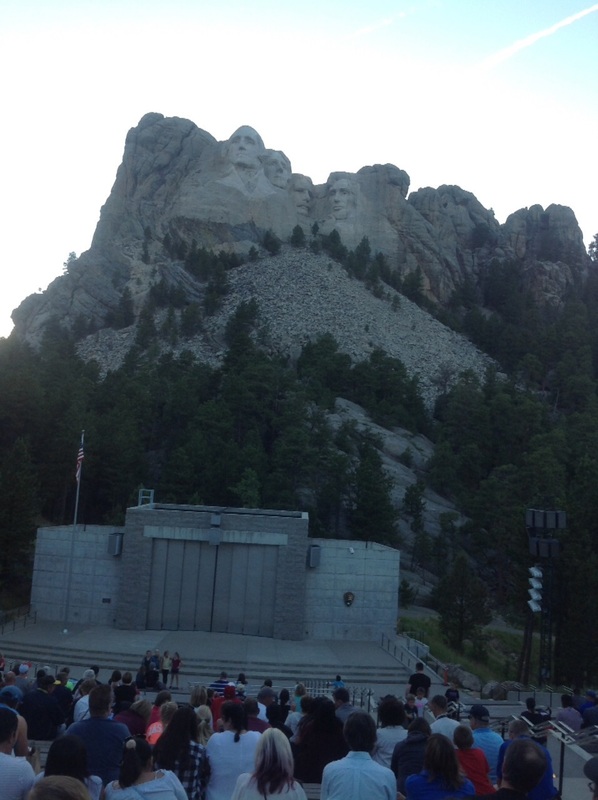 First we viewed the Mount Rushmore site in daylight and then from 21.00 to the lighting up of the four American Presidents. 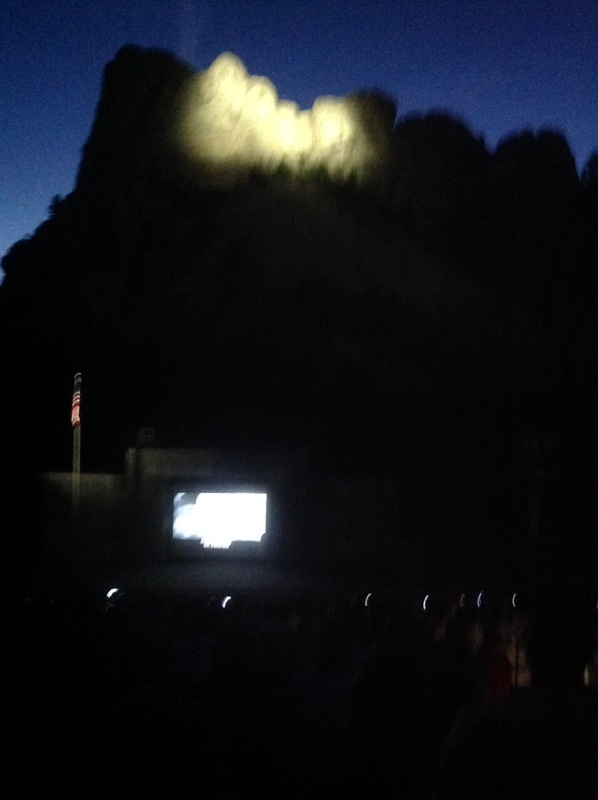 This was preceded by patriotic music: particularly well known tunes by John Philip Sousa. Then the singing of the 'Star Spengled Banner'. At the end, American veterans were invited on stage. I found it altogether a moving experience: clear explanations of why each of the four Presidents had been chosen and a strong emphasis on conservation and the environment. 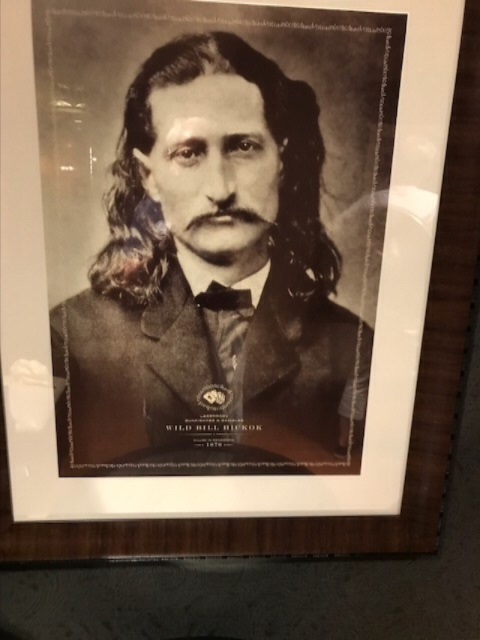 On 2nd August 1876 Wild Bill Hickok was shot dead in a saloon bar in Main Street.His killer feared that Hickok posed a threat to his friends and other lawless elements in the town.